Forward Science, Houston, Texas, partnered with the Academy of General Dentistry (AGD) Foundation to provide free oral cancer screenings to the public during the AGD Annual Meeting and Exhibits in New Orleans, Louisiana. The AGD Foundation utilized the technology of Forward Science’s OralID, to perform oral cancer screenings. 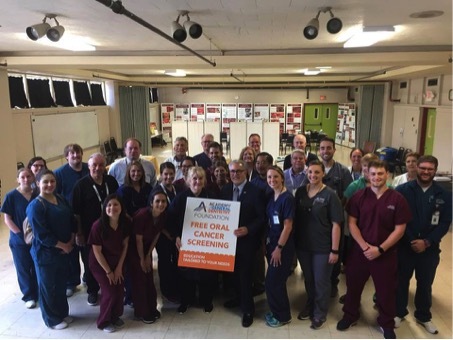 “Education is the key to early discovery, but we have to put our education to use, and that is what the AGD did when they decided to host multiple hands-on oral cancer courses and to perform oral cancer screenings for the public,” says Whitman. An electronic silent auction and a fundraiser to support future oral cancer initiatives were also held during the annual meeting.